Mobile Shelters & Nursery Huts. Fold up side walls from the base frame and bolt in place. Fold up rear walls from the base frame and bolt in place. Lift roof up onto the frame and bolt in place. These come as a completed unit and ready to put into the paddock. 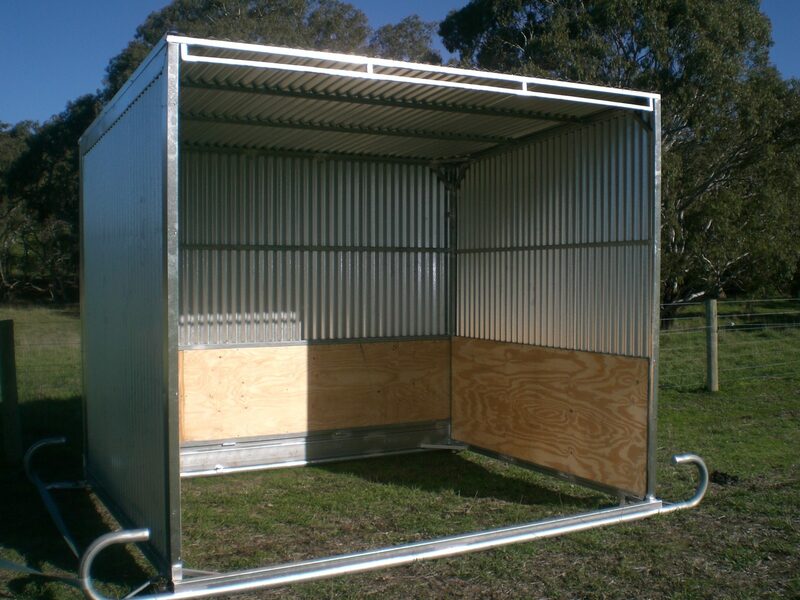 Light weight shelter to move around the paddock. All these shelters eliminate the need to have multiple sheds in each paddock with the simplicity of relocating the shelter to minimise pasture damage from concentrated stock activity. Keep stock healthy and on fresh pasture. 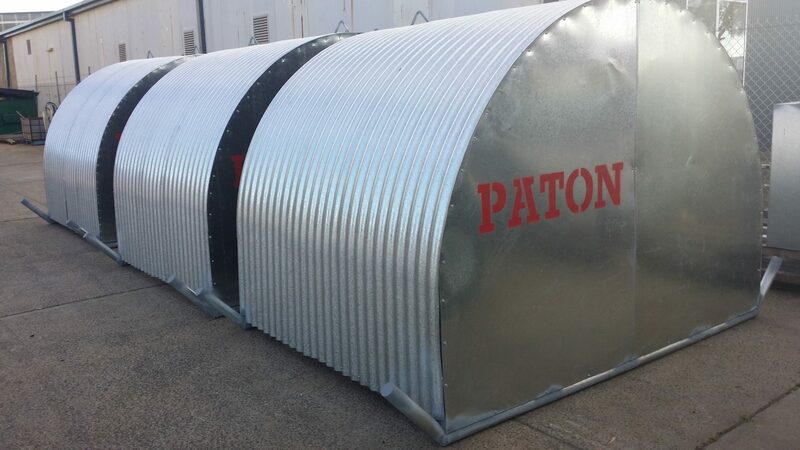 These units are fully galvanised and built to last. Available in two designs and two sizes as shown in the available range below.